A Year of Being Here: Barbara Crooker: "In the Middle"
"In the Middle" by Barbara Crooker. Text as published in Radiance: Poems (Word Press, 2005). © Barbara Crooker. Reprinted with permission of the poet. 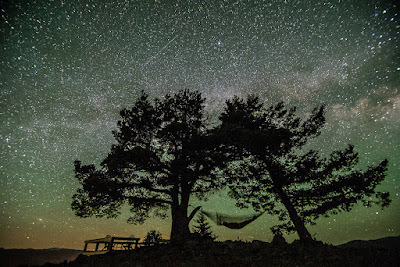 Art credit: "Under the Starry Night," photograph by Ryan Turner Photography. 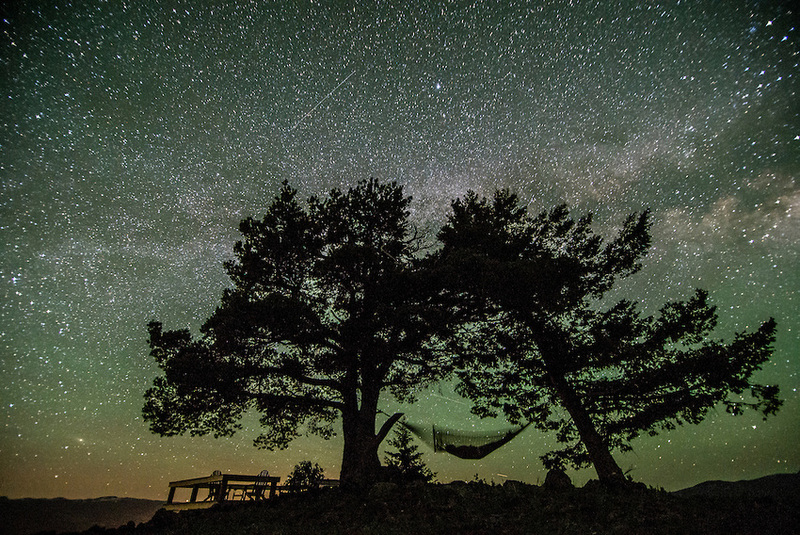 Caption: "Relaxing hammock under the starry Montana big sky." How lovely!! Thanks... hits me where I live at the moment.